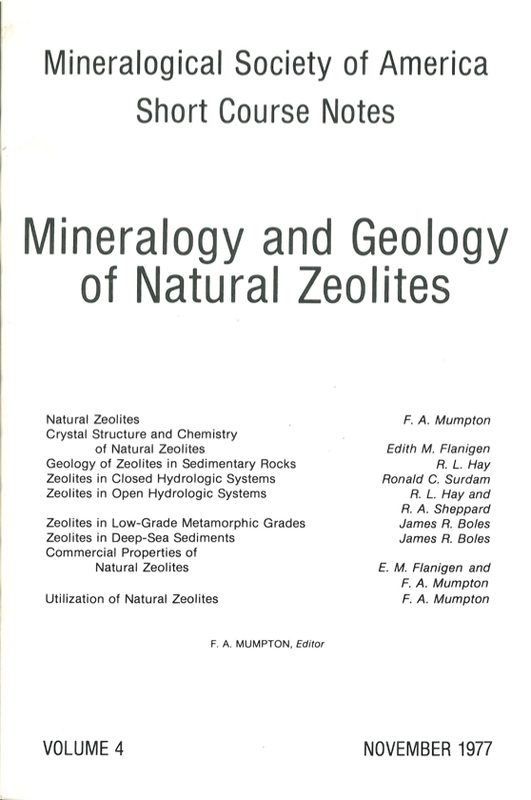 This volume was prepared to serve as notes for a short course on the Mineralogy and Geology of Natural Zeolites held in Seattle, Washington, November 4-6, 1977. Sponsored by the Mineralogical Society of America, the short course was organized by the following individuals who served as lecturers, authors, and staff: J. R. Boles, F. A. Mumpton, E. M. Flanigen, R. A. Sheppard, A. J. Gude, 3rd, R. J. Stewart, R. L. Hay, and R. C. Surdam. 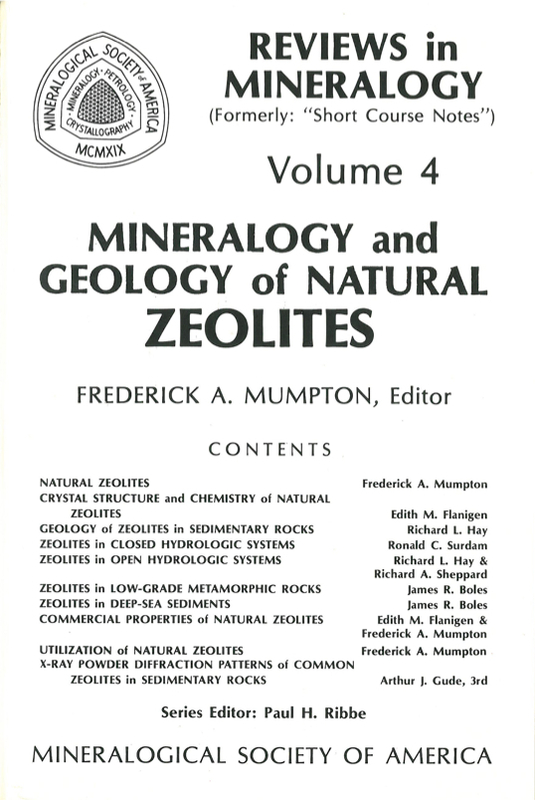 Although several excellent reviews of the geological occurrences, the mineralogical properties, and the industrial and agricultural applications of natural zeolites have appeared in the recent literature, the authors hope that these notes will be of value not only to the participants in the short course itself, but to others in the geological and mining community who wish to become better acquainted with the modern ideas about zeolite minerals. The title of the short course reads Natural Zeolites; however, the subject matter treated in the course and reviewed here deals primarily with those zeolites that occur in sedimentary rocks and which have formed by authigenic or burial diagenetic processes. Unfortunately, only limited coverage has been given to the classical occurrences of zeolites--the megascopic crystals in the vugs and cavities of basalts and other basic igneous rocks. Our only justification is that since the late 1950s, almost all major efforts on zeol ites have been directed towards the "sedimentary" occurrences, and it is these occurrences of zeolites in sedimentary rocks that are still unfamiliar to many geologists and mineralogists. It is our intention that this short course and these notes will play a small role in alleviating this unfamiliarity.